Vogler’s Magnetic Health Theater, a traveling magic show, rides by carriage through a twilight forest in 19thcentury Sweden. It leaves behind it an indefinite string of run-ins with the law. Ahead are towns full of suckers and sightseers on whom the troupe plans to ply their trade. The company consists of mute magician Albert Emanuel Vogler (Max von Sydow), his male assistant Aman (played by actress Ingrid Thulin), his sly grandmother and the smooth-talking carnival barker Johan. Along the way they pick up a sickly alcoholic actor. The tormented Vogler, it seems, observes with morbid fascination the exact moment of his death. Arriving at the local consul’s inn, they are received with a mixture of skepticism, excitement, curiosity and contempt. The consul, police superintendent and minister of health, knowing something of Vogler’s disrepute, demand an exhibition of their talents before permitting them to perform in public. Dr. Vergerus, a prominent man of science and campaigner against superstitious, spiritual and supernatural beliefs, treats Vogler with cruel disdain but is secretly unnerved. Meanwhile the consul’s wife claims to ‘recognize’ Vogler and, desperate and infatuated, begs him to explain the senseless death of her child. That night a series of upstairs/downstairs encounters take place in bedrooms, kitchens and laundry sheds, with the servants drinking and making love while the magicians prepare and perform their act. However the show is a disastrous travesty: Vogler’s magic is laughably fake, the police chief is flagrantly humiliated and the final act ends with a shocking death. 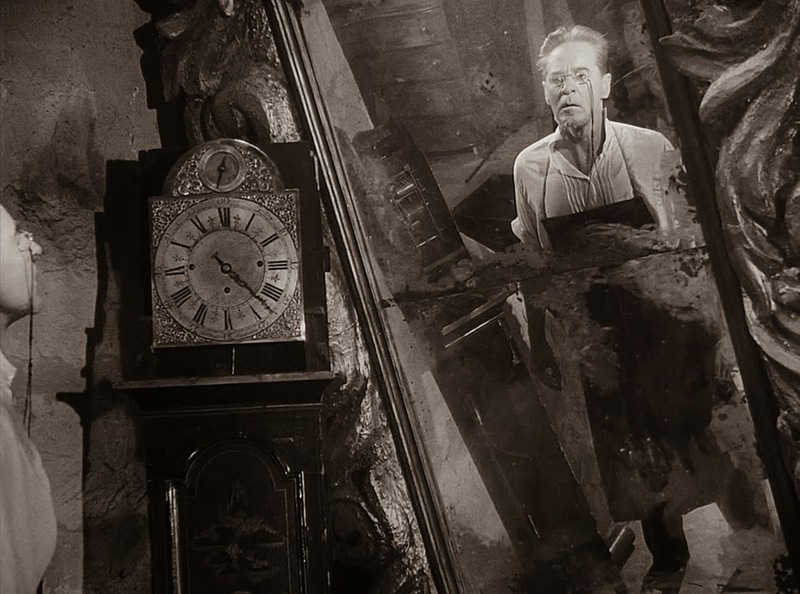 The malevolent Dr. Vergerus takes the corpse into the attic to conduct an autopsy and, in the film’s most harrowing sequence, is terrified by spectral visions. But the morning comes and with it the discovery that nothing is what it seemed, including the fortune of the outcast troupe. Made only a year after Bergman’s best known masterpieces (‘The Seventh Seal,’ where a disillusioned crusader plays a game of chess with Death as a plague sweeps Europe and Wild Strawberries, in which an elderly doctor comes to terms with his misspent life during a cross-country road trip), ‘The Magician’ has been sadly neglected, if not outright eclipsed. 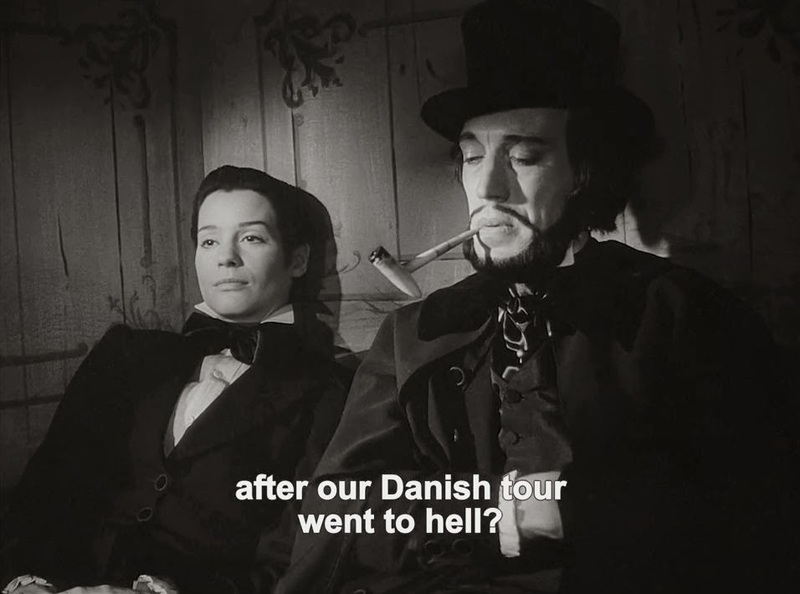 Bergman, one of cinema’s greatest directors, spent much of his career preoccupied with somber themes like spiritual crisis, failed relationships, unhappy families, shame, frustration, loneliness and the struggle for meaning in an imperfect and perhaps godless world. 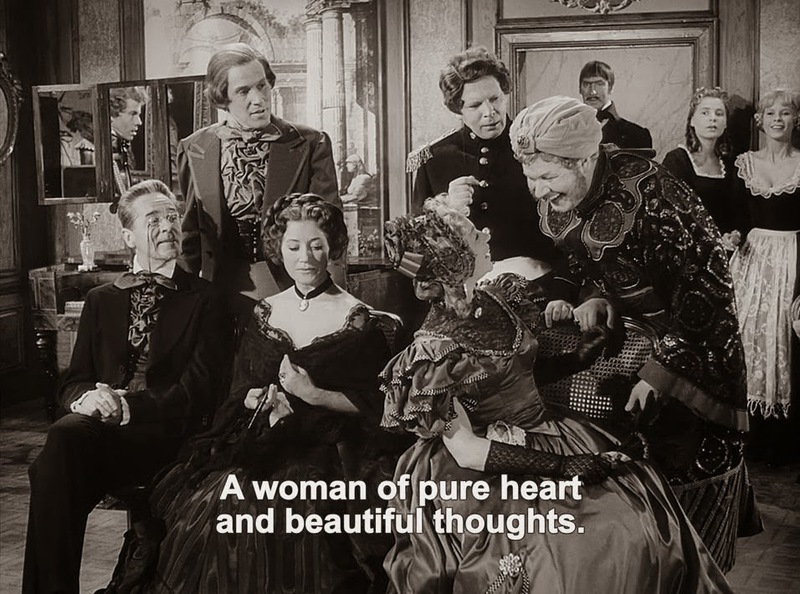 The Magician dabbles in that arena, particularly evident in Vogler’s tormented silence as he wrestles with spiritual and vocational demons, the tension between natural and supernatural explanations and the psychic pain of rejection and death in their various manifestations. 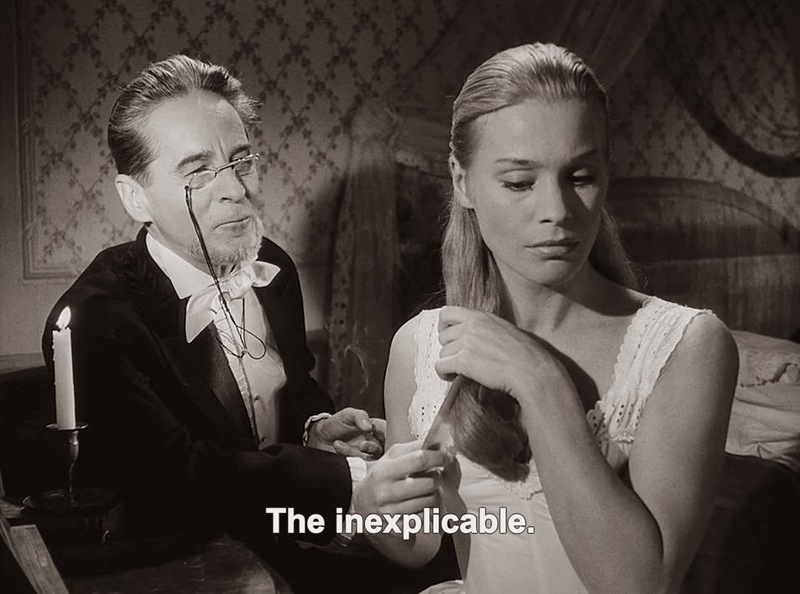 But The Magician also shows Bergman’s lesser-seen and rarely-discussed sunny side: his love of farce, romance, wicked comedy and playful ironies. 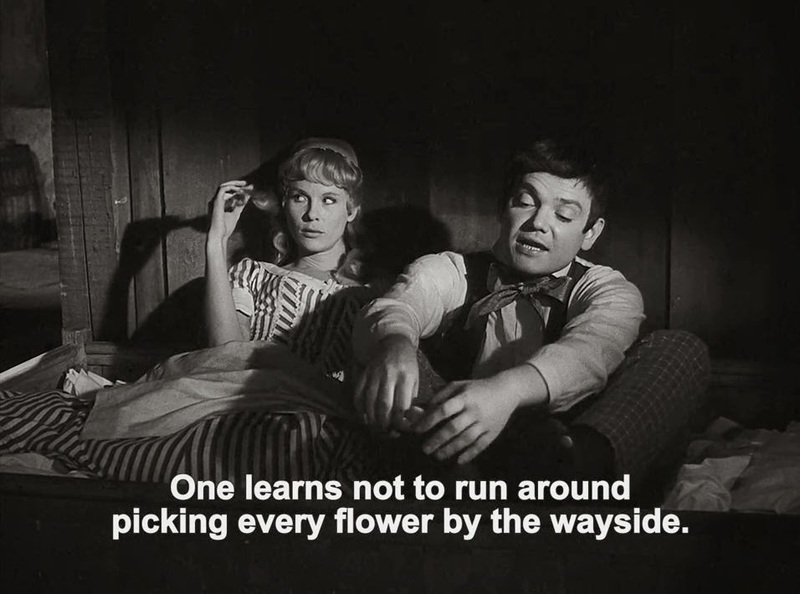 These are expressed through the parallel stories of the servants (including the inimitable blonde-bombshell Bibi Andersson), coachmen and the easy-to-overlook mischievous grandmother, whose offhand mysticism is a lot closer to real magic than Vogler’s conjuring tricks. 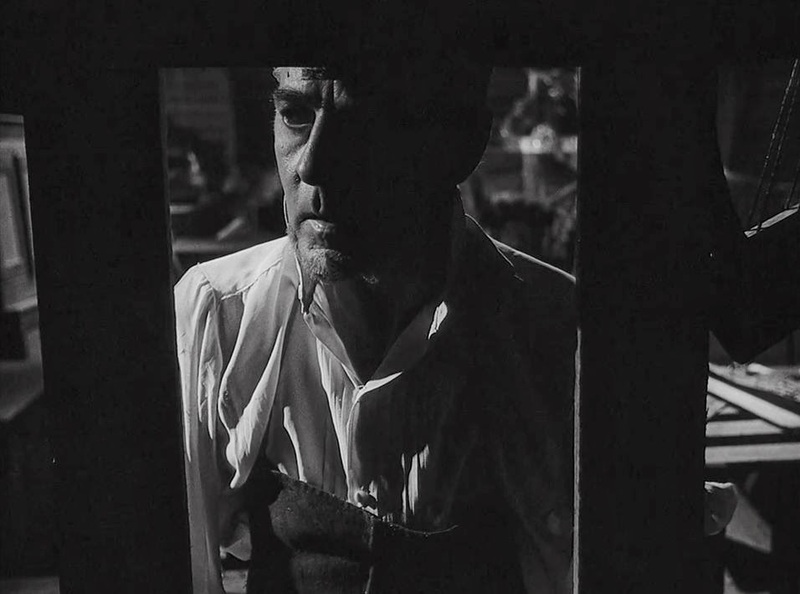 Bergman’s frequent collaborators are almost all in attendance (Sydow, Andersson, Thulin, Gunnar Bjornstrand, Erland Josephson) with the moody black-and-white cinematography courtesy of Gunnar Fischer in one of his last Bergman partnerships before the equally sharper-eyed Sven Nykvist took over. 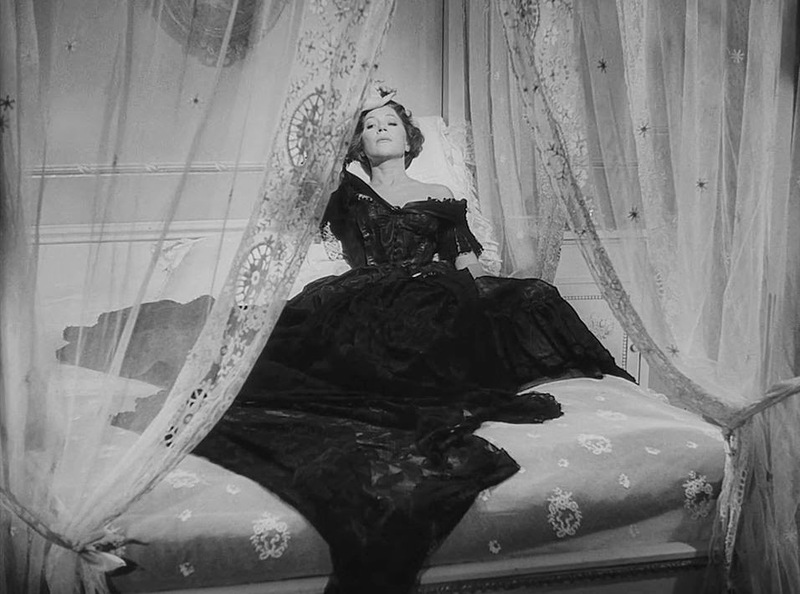 The Magician may not be Bergman’s best work (my favorites are his more intense and experimental psychological studies ‘Cries and Whispers’ and ‘Persona’), but with its twists, turns and tonal shifts it’s certainly one of his most fun.